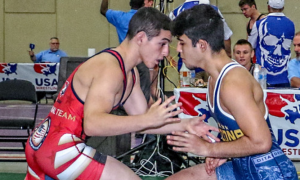 When it comes to most of the United States Greco-Roman program, you measure competitive progress in steps. And if that’s the case, then US National Team member Xavier Johnson (63 kg, Marines) is certainly doing his part. Johnson, the inescapably talented athlete who earned a bronze medal at the 2018 Grand Prix Zagreb Open to cement his first overseas placing of any kind, was back again this year and climbed one rung up the ladder. It began with Saturday’s slate of activity that was punctuated by big wins over two top-flight international opponents. In order to seal the weekend with a gold, Johnson had to get past former Junior World bronze Islomjon Bakhramov (UZB) today, and though he offered a hopeful moment or two, ultimately, the medal he won is not the color he would have preferred. 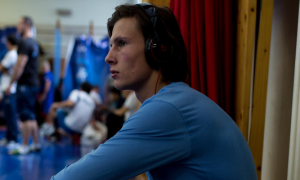 The finals of the 2019 Zagreb Grand Prix began at 6:00 pm local time in Croatia (12:00 pm EST) and streamed live in the US on FLOWrestling. If Johnson were to win, it was likely going to come from confident aggression, an approach that has served him well during this recent surge in his career. At the first opportunity, he clutched Bakhramov into a bodylock. Unfortunately for the Marine, the position wasn’t quite secure, allowing Bakhramov to fall on top and receive two points. Bakhramov then went for a gutwrench — and as he began to roll — Johnson hip-heisted over and reversed. However, the Uzbekistan side challenged the call, feeling they should have been awarded exposure points. Their appeal was upheld and the score was amended to 4-2 in favor of Bakhramov. Johnson went back to work in the tie-ups, and seemed to begin figuring out where he should be in terms of position. But later in the first, Bakhramov expertly walked his way into a two-on-one, extending Johnson’s arm and leveraging a takedown. A gutwrench off the line followed, giving Bakhramov an additional pair of points. Time was scarce, less than half a minute remained in the first. A fresh period might have represented a fresh start for Johnson. But after the reset, Bakhramov once again managed to get behind for a takedown, collecting the match-ending points. The result does little to tarnish Johnson’s overall performance and he closes out the tournament as the highest US placewinner. Perhaps just as importantly, with his silver medal, Johnson now owns 12 points in United World Wrestling’s “Ranking Series”, which should vault him in around that list’s top-10. 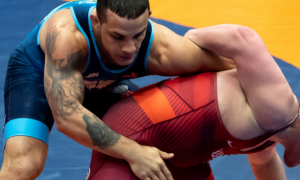 Several other USA Greco athletes were in position to earn medals on Sunday, but only one of them was able to pull through. G’Angelo Hancock (97 kg, Sunkist) put in a great effort opposite returning Zagreb champ Adam Varga (HUN), prevailing 4-1. Hancock closes out with 12 Ranking Series” points. Travis Rice (RTC) found himself in the 63-kilogram bronze-medal match with a high quality dance partner, 2016 Golden Grand Prix runner-up Firuz Tukhtaev (UZB). Rice displayed excellent movement in the pocket and walked into the second period down 4-0. But — Tukhtaev got on a run via par terre and scored the points needed to put that one away prematurely. John Stefanowicz (82 kg, Marines) was one of four US National Team members, along with Hancock, Kevin Radford (87 kg, Sunkist), and Johnson vying for a medal. He did business with Jalgasbay Berdimuratov (UZB). Down 6-1 in the second period, Stefanowicz uncorked a pretty arm spin that put him within one, though Berdimuratov managed to survive the rest of the way en-route to a decision victory. Both Radford and Nick Boykin (97 kg, Sunkist) also had second chances in the repechage round. 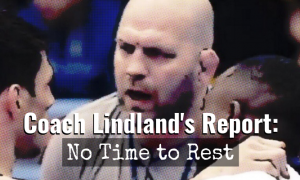 Radford fell to Turkey’s Dogan Goktas and Boykin was ousted by Varga. 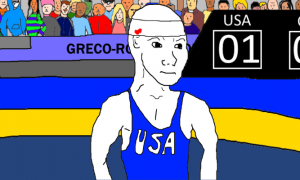 The final individual combined record for USA Greco-Roman athletes at the 2019 Zagreb Grand Prix ended up 10-17. MOV (method of victory) splits for Team USA: two tech falls, three falls, four decisions, and one criteria decision. Hancock received the first passivity chance in all four of his matches. 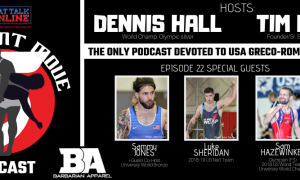 Outside of the athletes who competed in repechage rounds, two USA competitors lost to eventual bronze medalists earlier in the tournament — Ildar Hafizov (60 kg, Army/WCAP) and Daniel Miller (97 kg, Marines). Hafizov was edged by Ivan Lizatovic (CRO), and Miller, Jahongir Turdiev (UZB). As mentioned previously, the majority of the US delegation will remain in Europe for additional training ahead of the Hungarian Grand Prix in two weeks. 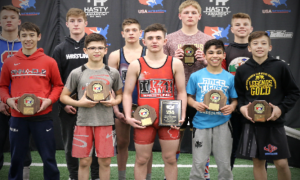 Hafizov, Johnson, Peyton Walsh (77 kg, Marines), and Miller will be returning home earlier than most in advance of the 2019 Armed Forces Championships. Complete US placing results from the 2019 Zagreb Grand Prix will be updated here later today.